Hampden: Archon Book, 1987. Hardcover. Octavo; VG-/Hardcover; Grey spine with white and blue text; Heavy shelf wear to covers, age toning along dj surfaces and sides, chipping to sides , edges, 2 inch open tear at front exterior tail edge of jacket; Boards are strong, moderate wear and blemishes along board surfaces; Spotting and light foxing along text block exterior, text block clean; 248 pp. FP New Rockville Stock. Wisconsin: Samuel Lowe Company, 1955. Reprint. Reprint; 12mo; G+/no-DJ (as is); Spine is a red, yellow, green, and black pattern, no text; Boards have general shelf wear, rubbing and bumping to corners, joints and hinges are intact; Text block has general signs of handling, age-toning, some pencil and pen, content is clear; pages are not numbered. Shelved Rockville Bookstore. 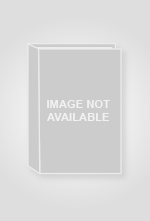 Uckfield, East Sussex, England: The Naval & Military Press, -no pub date-. Facsimile reprint. Small, thin octavo; vg+/paperback; glossy white spine, no text; minor shelf wear; text block, clean; 60pp. Undated, recent reprint of 18th (?) century copyright. Shelved in Netdesk office, Ephemera box E. Shelved Rockville Bookstore. New York: Frederick Ungar Publishing, 1971. Second Printing. Two Volume Set; Second Printing; Octavos; VG-/No-DJ; Spine is green with black text; Boards have general shelf wear, rubbing to corners, joints and hinges are strong; Text blocks have general signs of handling, age-toning, foxing, labels from previous owners on front free-end paper, content is clear; Vol. I and Vol. II have 949 pages collectively; Additional shipping may be necessary for expedited and international orders. Shelved Rockville Bookstore. London: Printed for A. Miller, 1755. First Edition. 8vo., 182pp. ; G+; housed in a gray folding case, itself housed within a gray slipcase, white label on spine; lacking spine; dark gray paper boards, moderate damage to edges of both boards, rear board detached; small stamp on upper fore corner of ffep; some crinkling to lower edge, minor crinkling to fore edge; interior clean and in VG condition; GP consignment; shelved case 10. Shelved Dupont Bookstore. London: Routledge & Kegan Paul Ltd, 1968. Reprint. Reprint; Octavo; VG/VG; Spine is tan with blue text; DJ has shelf wear, design is clear, age-toning, rubbing to corners and edges, Brodart cover; Boards have edge wear, joints and hinges are strong; Text block has general signs of handling, content is clear, age-toning, binding is strong; pp 375; Art History, Criticism, Theory; Additional cost may be necessary due to size/weight restrictions. Shelved Rockville Bookstore. Boston: Little Brown and Comapny, 1930. Book number 31 of 500. Signed, Book 31 of 500; Octavo; VG-/no-DJ; Spine is navy blue fabric with discolored white label, small blue text of label, material loss to crown; Boards have edge wear, bumping and material loss to corners, general marks, smudges, and scratches; Text block has age-toning, deckled pages, singed bu author on verso of page after title page, binding is strong; pp 296. Shelved Rockville Bookstore. West Kingston: Donald M. Grant, 1975. First Illustrated Edition. Octavo; VG/VG; blue illustrated spine, black text; jacket has little to no wear, unclipped and has protective mylar cover; boards have light bumping on the head and tail of spine, otherwise strong and clean; textblock and interior pages have light age toning, otherwise clean; limited edition; pp 312. Full-priced Rockville. Garden City, NY: Garden City Publishing Co., Inc, 1926. New Edition. Octavo; good/fair; dj, sunned and flaking blue spine with black text; dj, shelf worn; open and closed tears; badly chipped, flaking; HB, sunned red cloth spine with gold text; boards, moderate shelf wear; binding shaken; dedication note, ffep; endpapers/text block, age-toned; frontispiece photo of Rt. Hon. 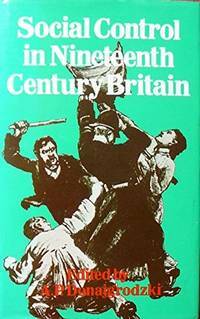 David Lloyd George; 193pp. Character sketches of some of England's notables, ..."to give you a real knowledge of English politics and politicians during and after the war [WWI]." (quote from the dust jacket. Shelved Rockville Bookstore. Chicago: The University of Chicago Press, 1951. Octavo; G+/No-DJ; Spine is sunned red with gold text, open and closed tears at head and tail; Boards have general edge wear, rubbing and bumping to edges and corners, joints are intact, hinges intact, some scratches and marks, design is clear; Text block has general signs of handling, age-toning, light black pen on front free-end paper, content is clear; pp 222. Shelved Rockville Bookstore. Richmond: Johnson Publishing Company, 1938. Hardcover. Octavo; VG/Hardcover; Grey spine with dark cream text; Moderate shelf wear to covers, bumping at corners of boards, fading along side and edges, binding slightly cocked, age toned pages; Age toning to text block exterior, text block clean; 306 pp. FP New Rockville Stock. London: Trustees of the British Museum, 1964. Octavo; VG+/no-DJ (paperback); Spine is very thin, white with black and orange text; Covers are age-toned, some edge-wear, joints are strong, back cover has sprung; Text block is slightly age-toned, content is clear and binding is strong; pp 24. Shelved Rockville Bookstore. New York: Alfred A. Knopf, 1961. Reprint. Reprint; Octavo; VG-/G; Spine is mostly white with black text, age-toning; DJ has general shelf wear, open and closed tears, edge-wear, some open and closed tears, age-toning, creasing to edges, design is clear; Boards have general shelf wear, some rubbing and bumping to corners, joints and hinges are intact; Text block has general signs of handling, age-toning, content is clear; pp 286. Shelved Rockville Bookstore. New York: McGraw Hill, 1961. First Edition. Octavo; VG-/VG-; tan spine, grey/multicolored text; jacket has age toning, bumping to the head and tail of spine, severe rubbing on the front and back, clipped; boards have bumping on the head and tail of spine, front and back hinges have light wear; textblock and interior pages have age toning; pp 424. Full-priced Rockville. Vermont, Japan: Charles E. Tuttle Company, 1962. Reprint. Reprint; Quarto; VG-/VG-; Spine is mostly green, with white, black and white text; DJ has general shelf wear, rubbing to corners, some small open and closed tears, age-toning, creasing, price-clipped, design is clear; Boards have general shelf wear, edge-wear, rubbing and bumping to corners, joints and hinges are intact; Text block has general signs of handling, age-toning, content is clear; Pages not numbered; Additional shipping cost may be necessary for expedited and international shipping. Shelved Rockville Bookstore. New York: Redfield, 1855. F+ Octavo in green cloth over boards with gilt text. Significant shelfwear; boards water damaged, foxed, bumped and battered at corners, head and tail of spine. Interior: split at hinges, heavily foxed throughout, damp stained in places, no writing or marginalia. This rare book is an account of the palace life of the court members to His Majesty Nasir-ud-Din Haider, a notorious cross-dressing 19th century king of Awadh. Spine cocked but sound. Shelved Master Shake case. Shelved Rockville Bookstore. Lancaster: The Dolphin Press, 1961. Hardcover. 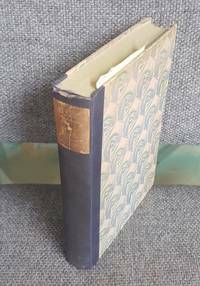 Octavo; VG-/VG- hardcover; light blue spine with deep blue text; spine of dust jacket has open tear to the tail, and also has close tears and extreme stains; boards have moderate edge wear with stains to the corners and edges; paste downs and end papers have minor discoloration, pages are clean; 200p. FP New Rockville Stock. Milan: Francesco Longoni (publisher), No date given. 12mo; VG-/no-DJ; Spine is thin and short, plastic protective cover over faded red spine, no text; Boards are edge worn, fraying and material loss to corners, back board and spine are completely detached from text block, design and text on front board is legible; Text block is an accordion style series of black and white photographs of Italian monuments, buildings and streets, paper and photographs are age-toned, foxing in some areas, binding is sensitive, text block is warped from humidity; Pages not numbered. Rockville Non-Retail Listings. Totowa: Rowman and Littlefield, 1977. Hardcover. Octavo; VG/VG Hardcover; Green spine with white text; Moderate shelf wear to dust jacket, fraying along sides and edges, price label on front cover; Moderate age and wear to boards, binding solid; Foxing along text block exterior, text block clean; 258 pp. FP New Rockville Stock. Munchen: G.Hirth's Verlag A.G., 1925. Small Quarto; Fair/no-DJ; Black spine with gold text; Boards has sunned spine with some wear on edges and bumped fore corners, otherwise panels are slightly scratched and sturdy; Text block has wear along exterior edges due to age & handling, some loose pages in rear and cracking is occurring at front end paper and title page, condition is 'as is'; pp 445. German language. Arts-German. Shelved Rockville Bookstore.